GET THE TRAINING YOU NEED ON YOUR TIME AND YOUR SCHEDULE! The Clock is Ticking on Your Career. Call now! In addition to Seminar Programs, The CDITC offers cost effective distance learning in order to provide the highest quality training to criminal defense investigators. CDI 101 DL – The Component Method of Criminal Defense Investigation – This course presents the Component Method of Criminal Defense Investigation in a comprehensive format designed to address the training needs of new or experienced investigators. The basic philosophy of criminal defense investigation and theory of investigative critical thinking are examined, as is the concept of reasonable doubt. Case Review & Analysis, Defendant Interview, Crime Scene Inspection, Impeachment Background Investigation, Witness Interviews & Statements, Report Writing & Testifying. Textbook: Uncovering Reasonable Doubt: The Component Method, By Brandon A. Perron, 1998, Morris Publishing. Board Certified Criminal Defense Investigator - CCDI designation. Course Details: The training has been categorized into four assignments. Each assignment is followed by a multiple-choice test. Upon completion of the assignment section you must call the training coordinator to request a test. The test will be emailed to you. You must notify the training coordinator upon receipt of the test. At that time you will be given 24 hours to complete the test and return it to the CDITC for correction. All tests are open book. A two page essay is also required as part of Assignment 2 and 3. The final exam involves a 4-5 page scholarly paper addressing the role of the criminal defense investigator. You have 12 weeks to complete the program. Extensions are available upon request. Upon successful completion of the course of study a Certificate of Training will be provided. 1st Payment: $ 150.00 - includes tests 1 & 2. 2nd Payment: $ 150.00 - includes tests 3 & 4. * Payable at time of application. Additional member discounts do not apply. The program of study includes the textbook, “Uncovering Reasonable Doubt - The Component Method", link to video presentation "Uncovering Reasonable Doubt: The Seminar" (1 hour), assignment-training documents, research source, and testing. Successful completion satisfies the CCDI academic requirements. Recommended to those seeking certification but are unable to attend the 2 day training program. Mastercard/Visa, AMEX, and Discover Accepted via Paypal. No Refunds upon receipt of training materials. CDI 202 DL – Forensic Interviewing for the Criminal Defense Investigator – This course introduces the concepts of FTER - Forensic Testimonial Evidence Recovery. 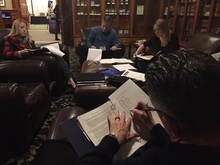 The study regiment builds upon and enhances theories and concepts of investigative interviewing covered in the introductory Component Method training. Investigative interviewing discussed as it relates to the process of criminal defense. 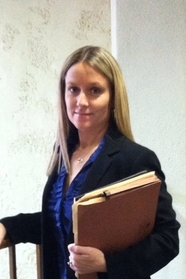 Practical issues, such as the significance of sworn statements and witness interviewing strategies, are covered, as are the purpose and theory behind Kinesic interviewing, cognitive interviewing, standard law enforcement interviews, and visual imagery techniques. Other practical and theoretical issues relevant to the role of the criminal defense investigator are also addressed. The significance of interviewing to obtain “testimonial evidence” from a forensic perspective is emphasized. Textbook: Forensic Testimonial Evidence Recovery - The FTER Method, by Brandon A. Perron, 2011, Morris Publishing. Upon successful participants are eligible to apply for the CFI-FTER designation, recognizing that they are certified in the FTER method. Course Details: The training has been categorized into two practical learning assignments. Each assignment will be evaluated by the instructor. The questions from the textbook must also be answered in essay format and submitted for grading. The final exam involves a 100 question multiple choice/true or false test. The test will be emailed to you and must be completed within 24 hours. All tests are open book. You have 8 weeks to complete the program. Extensions are available upon request. Upon successful completion of the course of study a Certificate of Training will be provided. A passing score of 80 % is required to earn the designation of CDITC Certified FTER Forensic Interviewer (CFI-FTER). The program of study includes the FTER textbook, assignment-training documents, study notes, and testing. The CDITC demands learning participants and partners to provide detailed answers reflecting unique individual thoughts. Teams may be formed to complete projects and facilitate scenario based learning. Discussion among participants may be encouraged for open books assignments and testing processes. However, answers are not to be shared and must reflect the participant’s unique understanding and thoughts. Essay submissions that are identical or substantially similar to another participant’s work product will be disqualified. 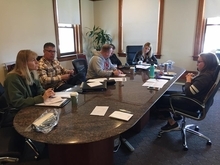 While group discussion and problem solving is encouraged, learning to think and work independently is part of the training and educational process. Cheating or plagiarism in any form is considered a serious violation and may result in disciplinary action. If applicable, 10% member discounts will be applied via emailed invoice allowing for Paypal/Credit Card payment options. COURSES ARE APPROVED AND ACCREDITED BY THE CDITC FOR CONTINUING EDUCATION UNITS AND INDEPENDANT CAREER DEVELOPMENT STUDY. Many of the programs are offered at no cost. Visit: http://www.nij.gov/training/forensic.htm#digitalforensics For a variety of different training programs. Many are offered at no cost to the participant. Take the World's Best Courses, Online, For Free from Top Universities! CATEGORIES (18) The following are just a sample. Nationally Recognized CDITC Board Certified Criminal Defense Investigator!